This disc contains a unique liturgical hymn called ‘Good Friday Antiphons’, a poetic work that is traced back to great Christian antiquity. The ecclesiastic chant is dated to the 16th century. 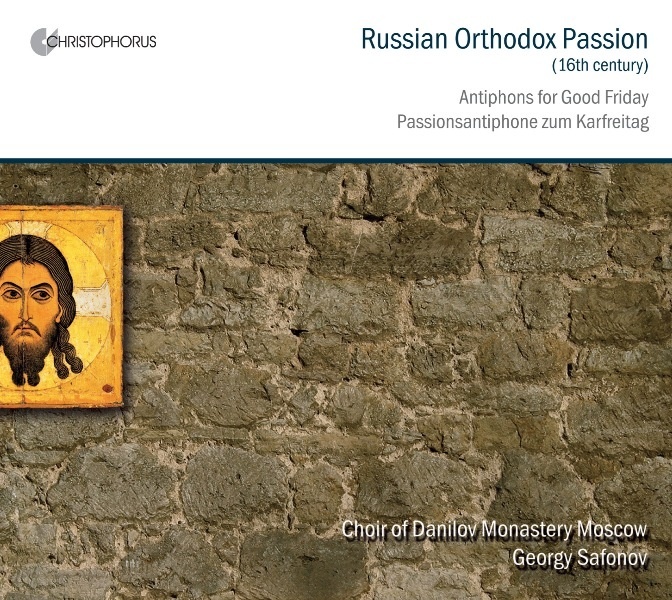 The Good Friday Antiphons are recorded on this CD in the Supraslskiy chant. Suprasl Lavra is one of the biggest Orthodox monasteries established in 1498 near the river Suprasl, close to Białystok (Poland). In the 16th and 17th centuries this monastery became one of the largest centers of Eastern European Orthodox monasticism. The present chants are reconstructed from the manuscript Irmologion of 1598. To restore the ancient traditions of Russian Orthodox Church chanting is not an easy task. It is well known that until the latter half of the 17th century Russian church tones were not written by means of standard linear musical notation. Rather it was a special melismatic liturgical singing that has its own specific notation and is known as ‘kryuki’. Their sense and meaning can be uttered only by those who have already studied chants before and know them by heart. The symbols can only help and direct. Therefore, it was a living tradition of sharing the craft of chants from generation to generation. As this unique tradition of the Russian Orthodox Church was broken in the 18th and 19th centuries, the restoration of music manuscripts of this nature can only be done with a degree of approximation. In this sense the Irmologion of Suprasl is unique in every respect. It is the only known collection of ancient Russian church chants written in linear musical notation. The manuscript contains church chants translated from ‘kryuki’ into linear musical notation at the end of the 16th century, when the living tradition was not yet lost. The chants of Suprasl are remarkable for their smoothness, a unique intonational beauty, even flow of tune and at the same time deep feeling.